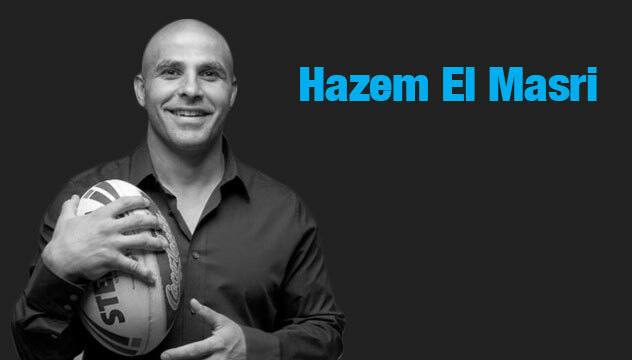 With 2,318 career points and records for most points in a game, most goals in a match, and most tries for an NRL club, Hazem El Masri is best known as one of the greatest point scorers the NRL has ever seen. 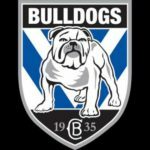 His career began in 1996 when the Bulldogs spotted El Masri playing for Belmore Boys High School and invited him to trials. He debuted with the dogs that year, and by 1998 he was a regular member of the squad. Famously, in 2004, El Masri scored 16 tries and 139 goals in the Bulldogs 2004 season earning the NRL record for highest points scored in a single season, just one of the many club and code accolades he earned during his career. Off the field, El Masri took an active role in community issues and became an icon of the game. He served as ambassador for the Premiers Reading Challenge, the Anti-Discrimination Board, and NSW Government’s Stop Violence Against Women campaign. He won the 2002 Ken Stephen Award, recognizing his work with young people in the community, and in 2009 he was named one of Sydney’s 100 Most Influential People by Sydney Magazine and Role Model of the Year by the Lebanese Association of NSW. On 25 September 2009, El Masri played his final Rugby League match after announcing in June that 2009 would be his last season. Having walked off the rugby league field for the last time, Hazem stays involved in the game via his role working with youth, community and match day ambassador for the Canterbury-Bankstown Bulldogs. Hazem had a book published by Harper Collins - El Magic, written by Bill Woods. He was also an ambassador for the 2017 Rugby League World Cup and actively promoted the Lebanon team. Hazem has three children Lamya, Zayd and Serine and is married to Arwa.